The Swansboro Mullet Festival became the official State Mullet Festival in June of 2013 after passing through the House and Senate. The Swansboro Festival Committee wanted the state recognition for the festival, though there was initially some concern that for the bill to pass, the name of the festival might need to be changed to the ‘North Carolina Mullet Festival in Swansboro’. Local residents protested the name change, however, and ultimately the bill did not require the modification. Most community members were in favor of the official recognition, though some did not want the festival to grow any larger and feared that the statewide acknowledgement would draw too much attention. Also recognized in Senate Bill 236 are the State Butterfly and the State Livermush Festivals. 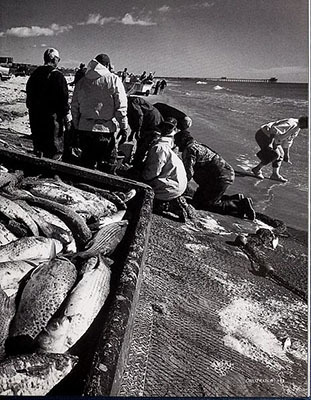 The Swansboro Mullet Festival began in 1954 when local mullet fishermen held a fish fry to celebrate the opening of a new bridge in town. The tradition continued, and now the Festival is held on the second weekend of October every year. The Swansboro Mullet Festival features a parade, a street carnival, over 130 craft and food vendors, games, live music, and the traditional mullet toss competition. Pippin, Jannette. "Swansboro Mullet Festival designated official N.C. mullet festival," Daily News, The (Jacksonville, NC), June 13, 2012.